← Bamboo Quilt – Finished! 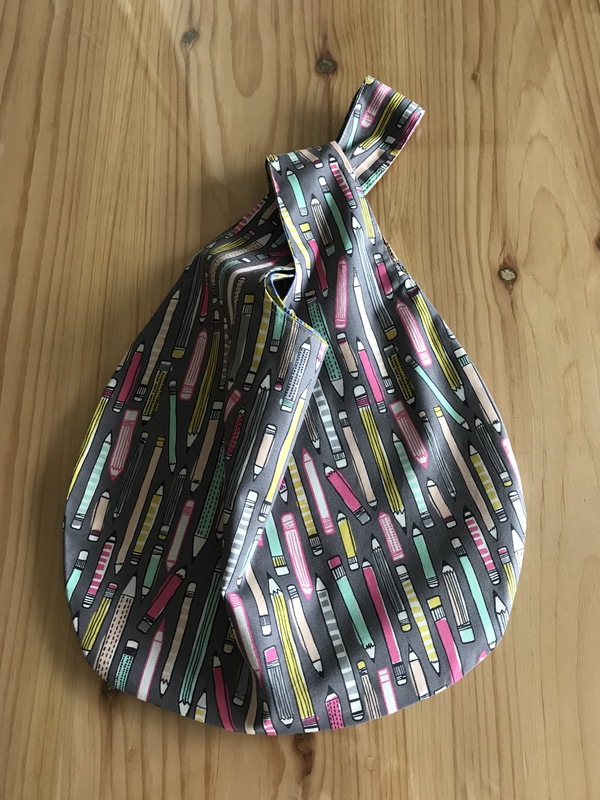 A couple of days ago I happened across mention of a smallish fabric grab bag. Not sure why I bothered to read the piece but I did. I downloaded the template, printed it, cut it out, and thought it might be worth a try. I’m on the lookout for something to make as a small Christmas gift for the gals in the knitting group – this bag was worth putting in my ideas collection. Since I try sewing/making something every day this was an easy/fast half-hour project. I hadn’t kept the instructions so actually constructing the double-layer bag took longer than it should have and this first (maybe only) bag is not as neatly finished as it might have been but I thought construction was obvious – it wasn’t quite, there are a couple of twists and turns, but in the end I rectified my mistakes and completed the bag. So here is my grab bag. It’s a good size for carrying a small knitting or hand sewing project. The problem with it as a mass produced gift is that it’s on the expensive side – in it’s simplest version (just two layers of fabric) it uses half a metre of each fabric (with useable scraps left over). Unless you happen on a good fabric sale I’d be making a sizeable investment were I to make, say, twenty of them given the cost of good cotton fabric these days. However, if you’re looking for something quick to make to give as a small gift you might find this grab bag worth your attention. BTW: I left out the batting and didn’t bother with the inner pockets – just the bare grab bag. Thanks for this, Judith. I’m coming home from Bali with some great batiks and have been trying to figure out a good bag to make for my girlfriends. I think this may be it. Hope you’re enjoying Bali. Safe trip home. BTW the gals doing the ikat weaving are amazing!